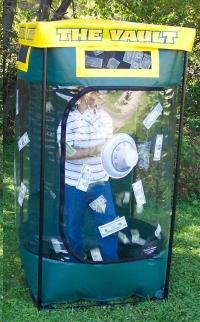 This money machine is great for Grand Openings, Banks, Car Dealers, Promotions for local events/businesses, company picnics and prize incentives. You can use with coupons/certificates, funny money and real banknotes. The machine sets up in 10 minutes and breaks down easily. The colorful design attracts lots of attention and draws business and crowds, without fail! 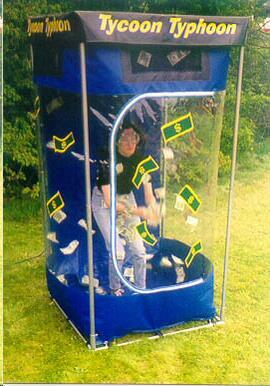 * Please call us for any questions on our money cube rentals in Eastlake OH.